The Cincinnati Zoo & Botanical Garden is encouraging those involved in gardening to add pollinator-friendly plants to your yard or landscape. This is help bring butterflies and other pollinators to your yard! 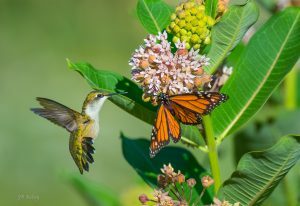 Birds, bees, butterflies, and other that pollinating plants help cultivate plants that provide the foods we need. By maintaining our pollinator habitats, we help preserve our natural landscapes and food sources. Participants that plant qualifying pollinators can register their garden through the Zoo’s website, and can order a sign to mark your garden! The goal is to register at least 500 pollinator gardens in 2019. Mt. Auburn can make a difference!